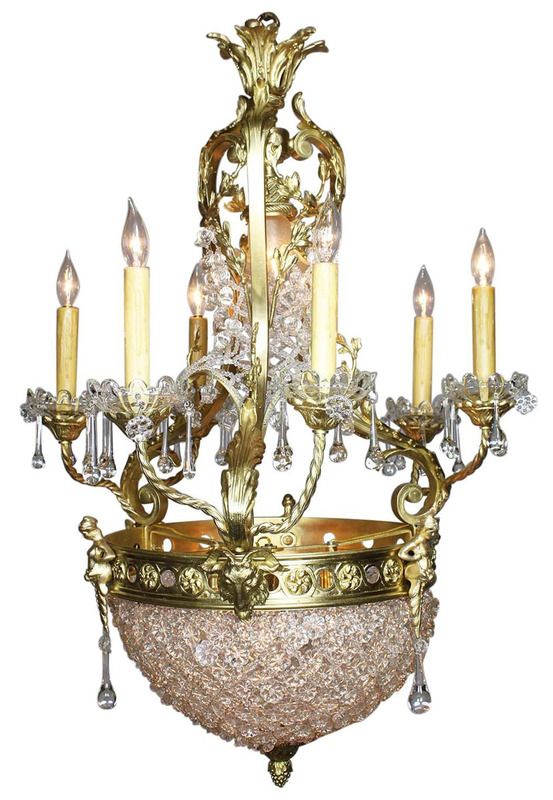 A French Belle Époque Gilt-Bronze and Cut-Glass Six-Arm Figural Basket Chandelier. The elongated gilt-bronze frame with six candle-arms with glass wax-drip plates, surmouted with interlaced molded cut-glass flowers, cast bronze figures of goat-heads, male figures and floral wreaths. 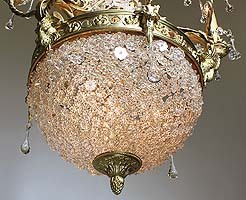 The bottom ending with a gilt-bronze floral acorn. 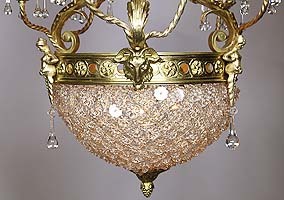 The top light with a floral shaped frosted glass shade. Circa: Paris, 1900.